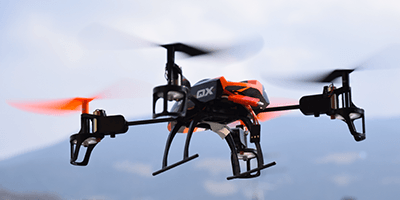 Law Enforcement Agencies – Embrace Your Role in UAS Regulations! The ANPRM does not provide any specifics about what each proposed rule would be, but rather lays out the reasons why there should be rules regarding each subject. Further, the ANPRM elicits public input, providing a great opportunity for LEAs to influence what the future rules will be. When reviewing the proposed rules, LEAs should consider their current and future experiences, operations, authorities, and the effect of the proposed rules. For example, would a required standoff distance cause an increase in calls related to perceived violations? Would the LEA be able to respond to those calls? Or, what capabilities would law enforcement need to monitor the UTM? Would, or how would, an office respond to deviations from intended flight paths via UTM? As drones are an increasing part of our lives, it is important for law enforcement to understand the dynamic regulations and how they may influence those rules. If this is the first time your agency is hearing about this ANPRM don’t worry, there is still time! The ANPRM was released in January 2019 and no announcement has yet been made with contact and dates. This means there is extra time to prepare your comments and directly influence developing regulations before they are finalized. PropelUAS urges all LEAs to get involved! UAS regulations can be confusing, as can knowing the types of waivers your program may need. If your LEA wants to better understand current and future regulations and their impact, or is looking to stand up a drone or counter-UAS program, please reach out. Our team of experts can assist in navigating the red-tape, developing and integrating an operation plan, determining the right procurement strategy, and forming a communication strategy. 1Betsy Lillian, “LAPD Deploys UAS for First Time,” Unmanned Aerial, January 18, 2019, https://unmanned-aerial.com/lapd-swat-team-deploys-uas-for-first-time. 2“Public Safety Drones: An Update,” Center for the Study of the Drone (blog), May 28, 2018, https://dronecenter.bard.edu/public-safety-drones-update/. 3“2120-AK85_NPRM_Operations_of_Small_UAS_Over_People.Pdf,” accessed January 28, 2019, https://www.faa.gov/uas/programs_partnerships/DOT_initiatives/media/2120-AK85_NPRM_Operations_of_Small_UAS_Over_People.pdf. 4“2120-AL26_Safe_and_Secure_UAS_ANPRM.Pdf,” accessed January 28, 2019, https://www.faa.gov/uas/programs_partnerships/DOT_initiatives/media/2120-AL26_Safe_and_Secure_UAS_ANPRM.pdf.